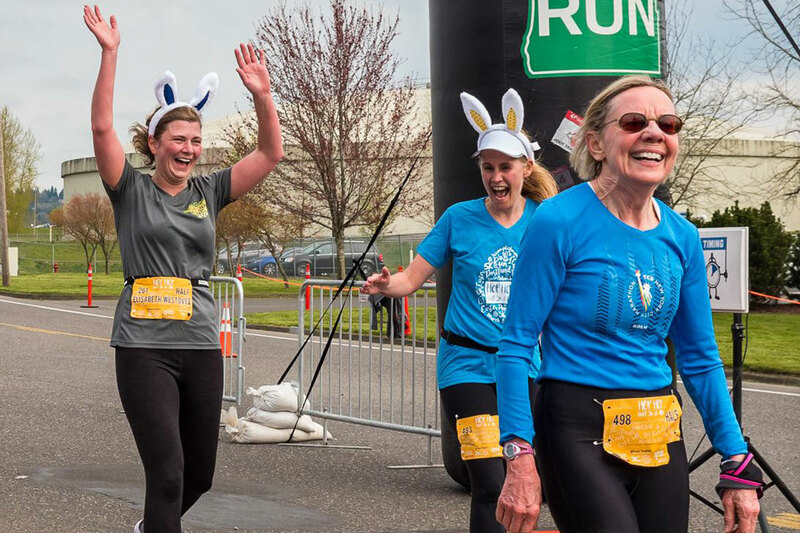 This Easter themed event held Saturday, April 20, in Portland, OR, features gorgeous and flat half marathon, 10k and 5K courses with views of the beautiful Columbia River and Mt. Hood. All three race distances will be chip timed and the half marathon is USATF-certified. All courses are flat and fast therefore a great option for those interested in setting a PR, or for beginners looking to tackle a first half marathon. Each of the three courses take runners along the Marine Drive bike path before returning them to the finish area. The pre and post event festivities will be held at the Kliever Armory. All finishers receive medals, mimosas, and brunch.